1. I got these boots finally! I was so damn excited when I finally got my hands on these amazing cut out boots by Forever21. // 2. I received this sunscreen product in the mail. // 3. 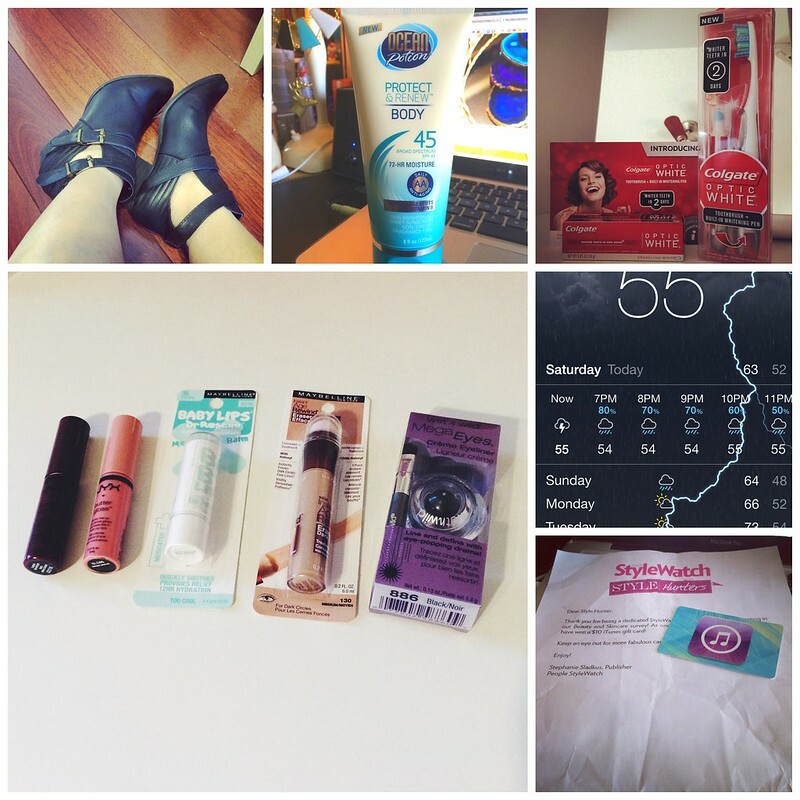 I got my colgate white optic toothbrush, whitening pen, and toothpaste in from #influenster. // 4. I did a little preview of some items that I picked up from Ulta. // 5. I thought that it looked pretty cool with the lightening flashing across my iPhone. Something you don't see everyday if you live in SoCal. // 6. I got an iTunes gift card from Stylewatch.